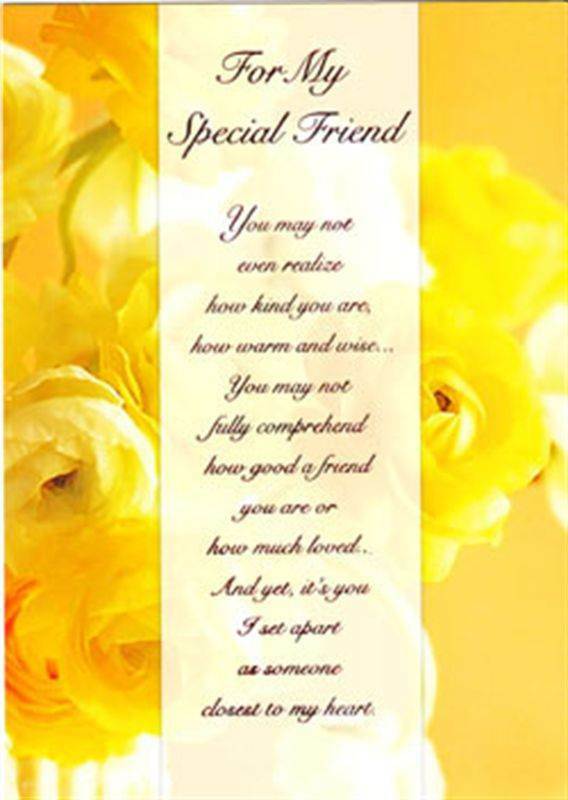 Front Message:For My Special Friend!! you may not even realize how kind you are,how warm and wise...you may not fully comprehend how good a friend you are or how much loved...And yet,it's you I set apart as someone closest to my heart. Inside Message : And out of everyone,I,ve known,how precious has our friendship grown....As I've found out the full extent of what your thoughtful ways have meant ...How faithful to my trust you've been with secrets you've held deep within...You've been a friend beyond compare.The Best and the Dearest Anywhere! !